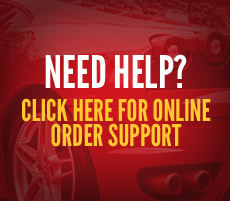 Always at your fingertips, yet conveniently out of your way. The Autobahn Max Vac was invented by Peter Schlapkohl, a car and boat enthusiast and engineer educated in Kiel, Germany. Peter wanted a powerful vacuum for his garage but no vacuums on the market satisfied Peter's criteria. With his engineering background, Peter decided to build his own garage vacuum with superior power and maneuverability. Understanding the needs of car enthusiasts, Peter designed a vacuum that can be installed on a wall and never needs to be moved. A 40 ft hose reaches anywhere in the garage, like a central vacuum system. The Autobahn Max Vac has a powerful 12 amp, 113 cfm twin fan, 5 Peak HP turbo motor. The Autobahn Max Vac is a powerful system – guaranteed. Schlapkohl's vacuums have been the choice of all major yacht builders and r/v manufacturers for many years and you can feel the quality when you hold the Autobahn Max Vac in your hand. Peter's design became reality when he built a superior efficient factory to produce the Autobahn Max Vac. The factory is about 90% automated with robots, which keeps production costs low and quality high. The Autobahn Max Vac is approved worldwide with UL, CE, RoHS, and AS/NZS certifications. 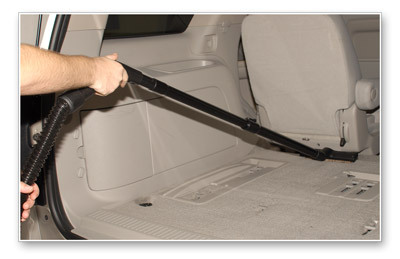 The telescoping wand allows you to vacuum SUVs without climbing in! If you've wanted a central vacuum but didn't want to go through the construction or expense, the Autobahn Max Vac is your answer. At just 9 pounds and 4 inches deep, the Autobahn Max Vac can be hung on the wall, or carried with you on your RV or boat. The Autobahn Max Vac offers the out-of-the-way location of a central vacuum system and the go-anywhere convenience of a canister vacuum - all in one! The Autobahn Garage Vac stands out only 4 inches from the wall. The Autobahn Max Vac is designed to mount on a wall where it is out of the way until you need it. The entire unit will only protrude 4 inches from the wall. That's more compact than other wall-mounted vacuums! 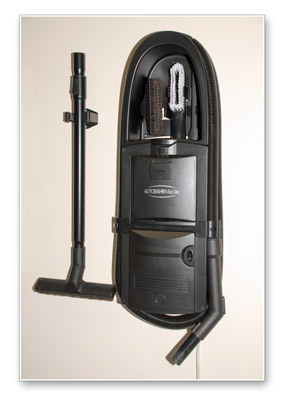 The hose hangs neatly around the vacuum and the accessories are stored in a special compartment built right into the vacuum. The vacuum hose stretches to 40 feet to clean all over the garage. Then the hose shrinks to just 8 feet for easy storage. 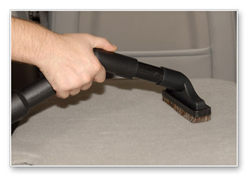 A shop vacuum has to be powerful to clean up tough messes in and around your vehicle. The Autobahn Max Vac delivers 100 inches of water lift! Clean up sawdust and potting soil easily. The Autobahn Max Vac holds an incredible 1 gallon of dirt. It's easy to replace the dust bag and its special design prevents dust from escaping. 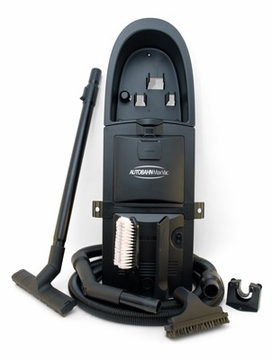 The Autobahn Max Vac features HEPA type filtration. No dust or allergens are released back into the garage. The Autobahn Max Vac includes an aluminum telescoping wand, an upholstery brush, crevice tool, bare floor tool, and an elongated dust brush capable of cleaning your dashboard in one swipe! 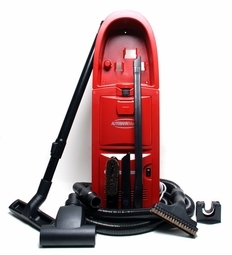 The 40 ft hose allows you to vacuum every inch of your vehicle without removing the Autobahn Max Vac from the wall. Clean up sand, dirt, and crumbs inside your vehicle. Then replace the hose on the wall-mounted vacuum. It's just like being at the car wash, except you can work in the comfort of your own garage without paying to use a big, clumsy vacuum. The Autobahn Garage Vac has onboard storage for its accessories. Clean the dash with the dash duster attachment. The Autobahn Max Vac is convenient, versatile, and powerful. Before you drive your vehicle to the car wash or pull out your old dusty shop vacuum, get yourself a Autobahn Max Vac. This high-powered, wall-mounted vacuum will keep your garage and your vehicle neat and clean. 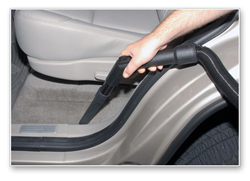 Vacuum between seats and in crevices with the crevice tool . 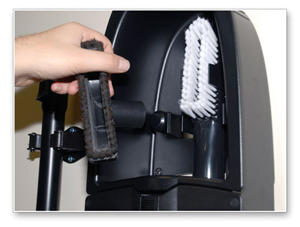 The angled carpet brush makes it easy to vacuum carpet and upholstery. 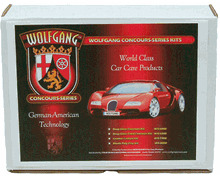 The Autobahn Max Vac Garage Vacuums are in stock and ready to ship!